Saturday’s thrilling marathon was won by reigning world champion Boyd Exell (AUS). Saturday’s thrilling marathon was won by reigning world champion Boyd Exell (AUS). The Netherlands expanded its lead in the team competition after Koos de Ronde finished in second place. 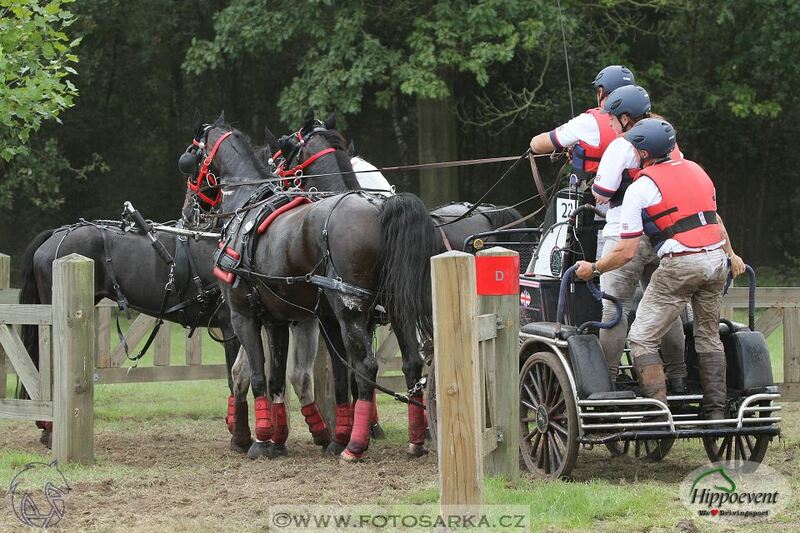 IJsbrand Chardon had a somewhat disappointing run, but is still in third place overall. 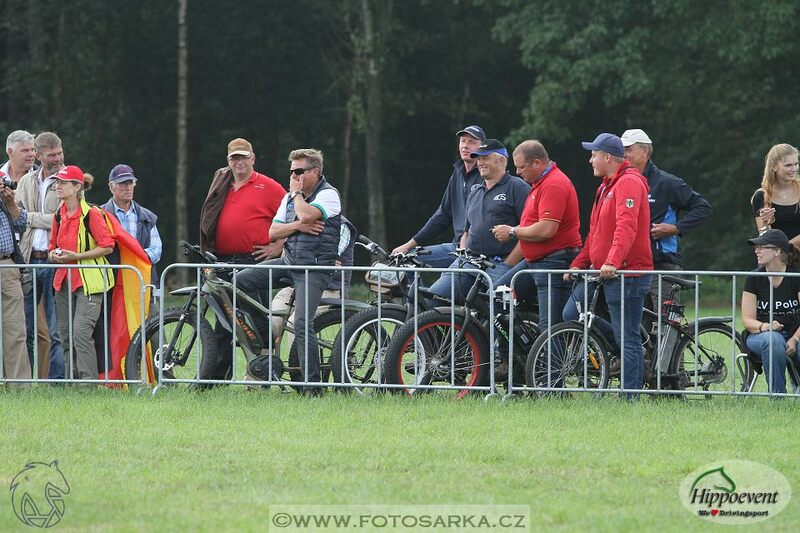 About 10,000 spectators witnessed the afternoon’s events in a sunny Breda, where the competitors gave it their all. Early on, Peter de Ronde had an impressive start with some very fast times to challenge the top of the leaderboard. Unfortunately, the three balls that fell in the obstacles kept him out of the top five. 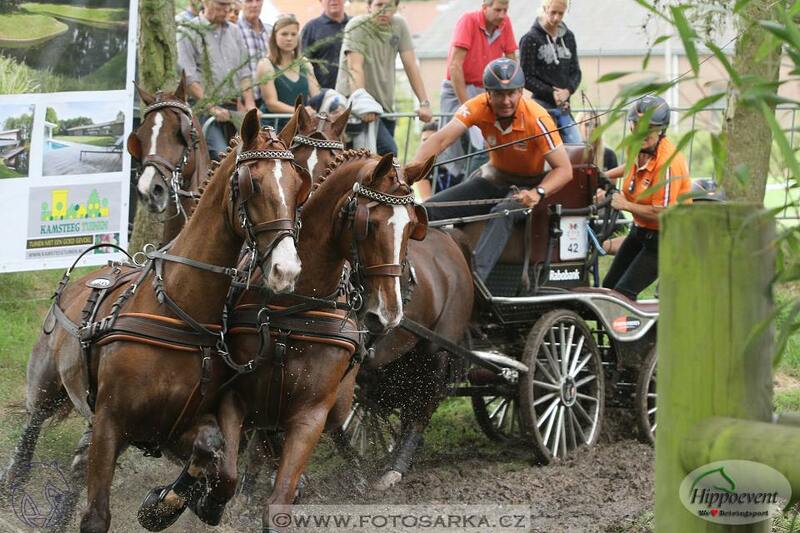 Bad luck befell Dutch drivers Mark Weusthof and Bram Chardon. After having had to wait for a repair on obstacle seven, Weusthof lost his focus. His carriage got stuck, and was given penalty points after he had to send his two grooms down. 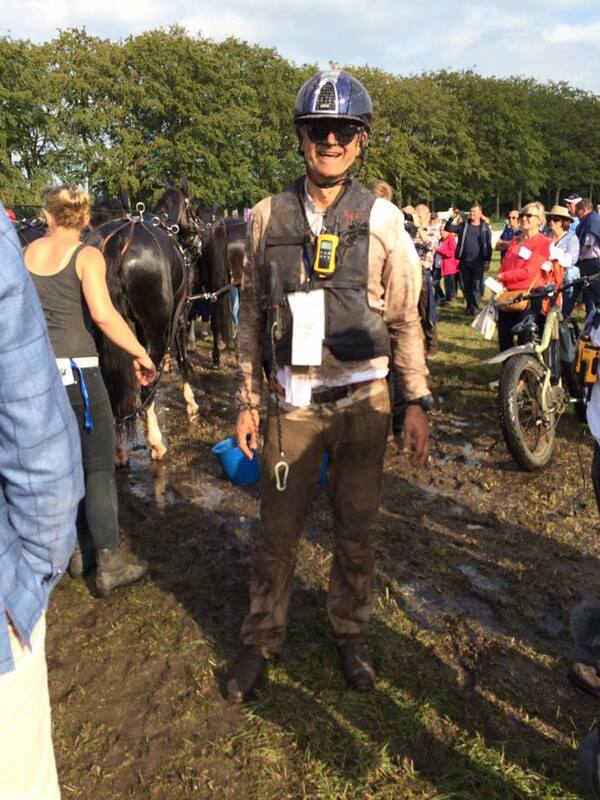 At the final obstacle, one of his horses fell, leaving him to withdraw entirely. 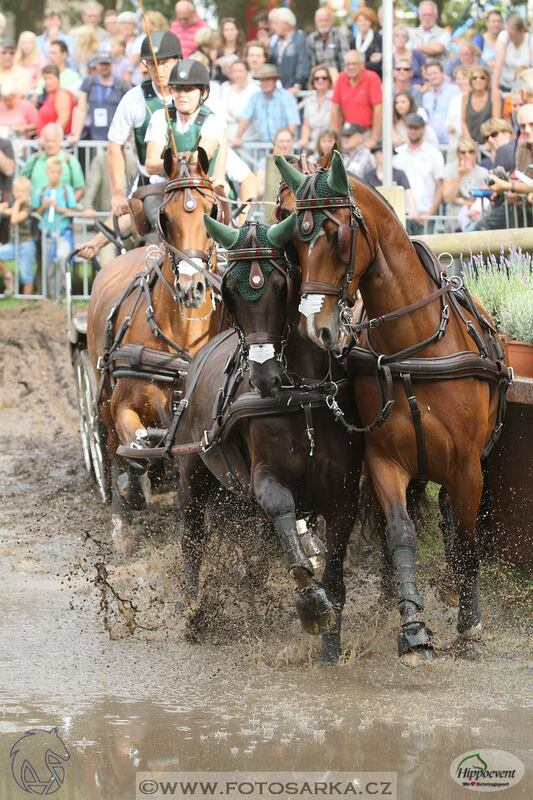 First-time competitor at the World Championship four-in-hand Bram Chardon was forced to withdraw at the second obstacle after one of his horses also fell and the team got stuck in their harnesses. 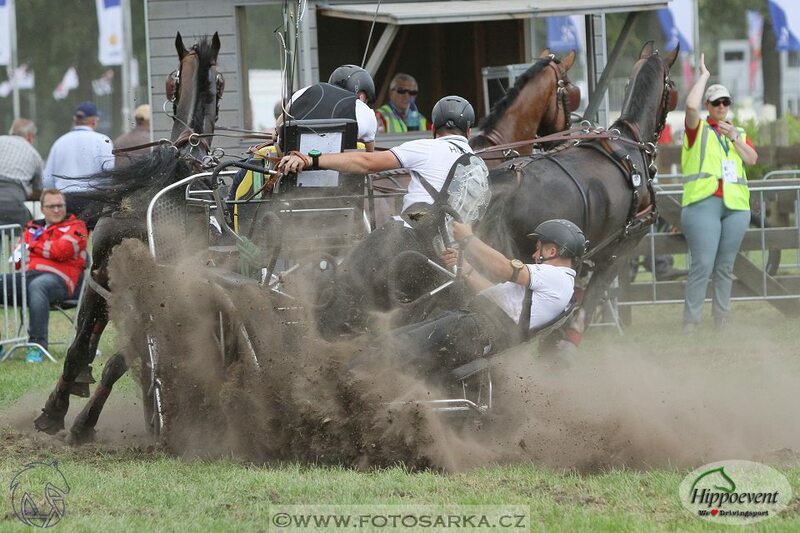 Fortunately, Mark’s horse only suffered a minor injury while Bram’s horses escaped harm entirely. Koos de Ronde performed fantastically well and was very pleased. ‘I had to work hard’, he said, ‘but it was a great course. It had everything in it. We had a solid run up until obstacle seven, I lost some time at the last obstacle. My horses are in great shape and they did very well. Boyd was just a little better than the rest of us.’ De Ronde is now in second place overall, a first for him after the marathon. Tomorrow’s test will undoubtedly prove an exciting one, as the difference between De Ronde and IJsbrand Chardon in third place consists of a mere 2,66 penalty points. Theo Timmermans has overtaken the American Chester Weber and is now in fourth place. Exell’s lead on De Ronde consists of a staggering 19,07 points, meaning that the gold medal in his for the taking. 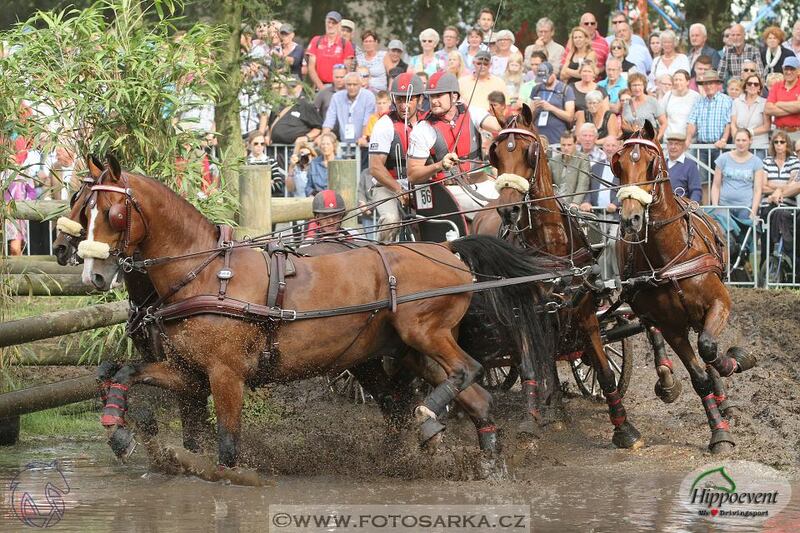 The same applies to the Dutch team, who have a lead on the Hungarians of 22,90 points.